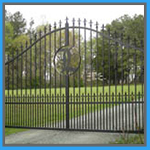 One of the many services that Gate Repair Fort Lauderdale FL offers is in the area of gate installation and repair. We know that the gate serves two functions; first, to enhance the appearance of your home or business; and second, to ensure the safety and security of the people entering and exiting the premises. 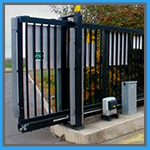 There are different types of gates, such as slide gates, barrier gates, swing gates, and vertical lift gates which can either be opened either manually or electronically. These gates, however, are mostly used outdoors and are subject to the elements which can cause them to wear down over time; like garage doors, they invariably require repair or replacement, and when the need arises, we want to be the people you call to take care of those issues. Local Garage Door Repair is here to help you with all of your automatic gate issues. 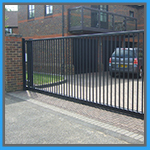 We can replace or repair your current gate as well as install a new gate for you. Our trained and knowledgeable staff can handle any automatic gate issue that might arise, including replacing or repairing any the components! Questions? Contact us! We also provide exemplary sliding gate installation and repair in the greater Fort Lauderdale area. We’re proud of the service that we provide, which includes 24 hour repair services. We’re here to service all of your sliding gate needs!! If your sliding gate or its related parts need replacement or repair, call us! Swinging Gates add a special added aesthetic to your home or business. They can be either opened manually or electronically. One thing to keep in mind that if you’re interested in having one installed is having the necessary clearance for the gate to open and close safely without risking damage to cars and causing bodily harm. If you’re ready to install a new gate or repair or replace your old one, give us a call! 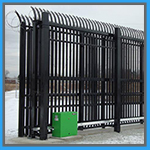 Security Gates make a bold statement when it comes to the security and safety of your home or business, and they’re especially used in industrial settings. Their imposing design sends a strong message to unwanted or unauthorized visitors. Just like any other gate, they’re subject to wear and tear due to the weather and require maintenance. If your home or business is considering getting a security gate or if your current gate is in need of repair, contact us at (954) 828-0176! 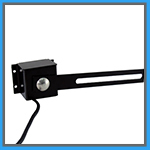 Gate sensors are extremely important to the operation of your automatic gate in terms of identifying any obstructions that might affect its ability to open and close safely. 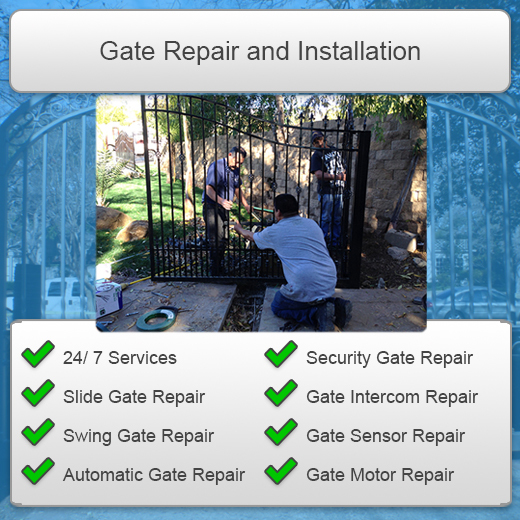 We provide expert gate sensor repair and can repair, or if necessary, replace any sensor! Call us for details! You can count on us to assist you with all of your gate opener needs! We are extremely safety conscious and understand the importance of making sure that your opener fully operational at all times. 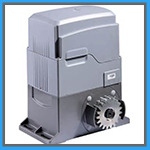 We are experts in repairing or replacing any gate opener! If you need help with your current gate opener or are considering purchasing a new automatic gate and its related components, contact us and we’ll go over the details! 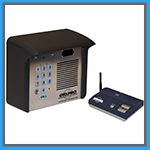 Your intercom system provides an extra layer of security for your home or business, giving you the power to screen those who want to enter your building as well as discouraging unwanted guests. The intercom can degrade over time as the keys can stick or become unresponsive due to faulty wiring. Your speakers may stop working, or your video cameras could be broken due to vandalism. You can count on us to make sure that your intercom system is working properly, and if you’re interested in installing a new system, we can help you! Call us!